Looking for books on tax accounting from the 1970’s? Egyptian newspapers from the 1920’s? Islamic self-help guides? Dr. Phil in Arabic? It’s all here. With endless stacks of titles in every language, you could spend hours among the bustle, and if you’re looking for something specific, just ask and you’ll be taken to the right stall, since all the booksellers are clearly friends. 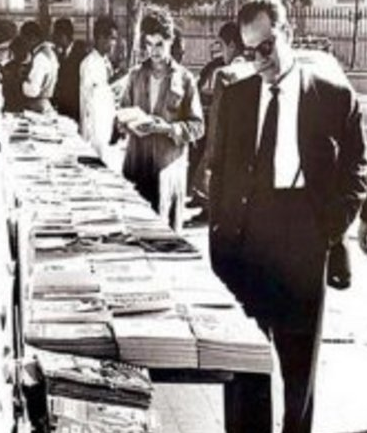 Read more about the recent history of the market here over at Arab Lit.